Product information "Go raw - be alive!" Raw food means only nibbling on salt and vegetable sticks? No longer! Because "living food" is now also prepared creatively and in varied ways – it is mixed, marinated, dried and sprouted. Classics like pizza, lasagne or cheesecake can be prepared in addition to simple basic dishes for every day, such as green smoothies and courgette pasta – and these classics are at least as delicious as their non-raw models. A large introductory section offers all necessary information about products, preparation types, equipment and utensils you need to start dining on raw food. 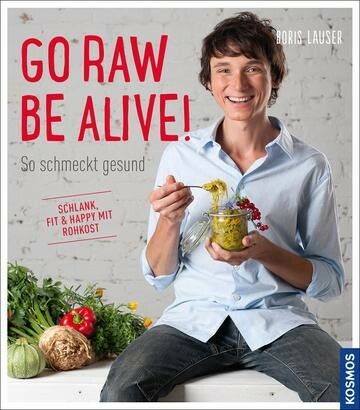 No other raw food chef is so cosmopolitan and globally so successful, while remaining so down-to-earth as Boris Lauser.